Looking for some romantic holiday cottages to pop the question? There must be something in the air around here…yet another lovely couple has used their time here at Countrywide Cottages to make that huge decision. Yep – the lovely Damian and Cassie got engaged during their time here this week! We are so happy for them. We first met them when they stayed with us a couple of years ago…..it was obvious they were good people – they brought their dogs AND they loved our critters too. It’s always lovely when you connect with the guests staying. So, apparently Damian planned the whole thing – asked Cassies dad if he could have his daughters hand in marriage, booked a second stay with us and then waited till the sun came out to get down on his knee and proposed. How sweet! Even better – she said yes! We really are delighted for them both and wish them all the very best for a long and happy life together! We might be a bit biased, but we love it here and are pretty sure you will too. There is a great sense of privacy for guests in each of the four cottages on site, with 50 – 100 meters of native bushland between each cottage. You might as well be here on your own, with the feeling of space and peace surrounding you. Apart from the birds that is….they are prolific! And your partner of course! The wood fires are something else to cosy up to….it’s hard to beat the romance of a log fire. You need go no where else….just check in and you don’t need to see another soul till you leave. Laugh, dance, sing….or whatever else takes your fancy. Our place is yours! 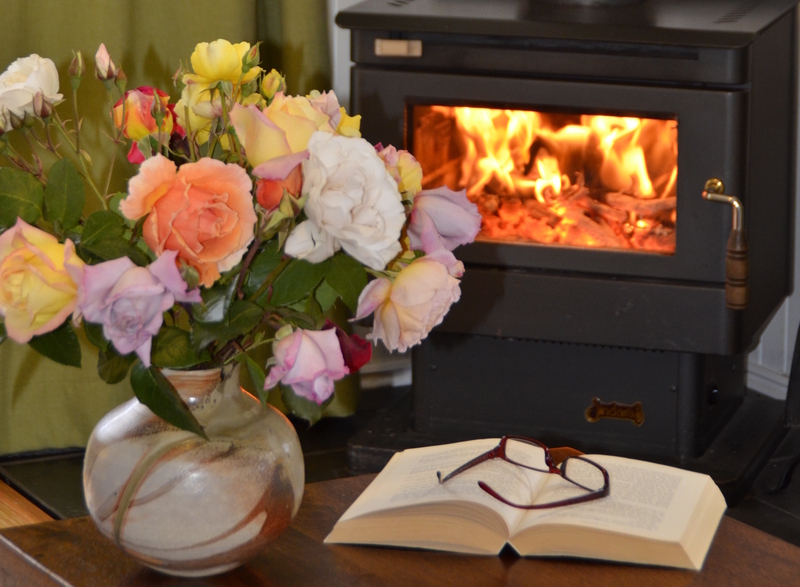 We have four romantic holiday cottages in the beautiful bushland of Bambra. Each of them has their own private yard for an incredible pet friendly accommodation experience where your dog is as welcome as you are. Have a look at our cottages page to see which you might prefer. And if you have to go out…there’s always the amazing Otway Harvest Trail to keep you busy.